“The Latin American Cultural Studies Reader” brings together thirty-six field-defining essays by the most prominent theorists of Latin American cultural studies. 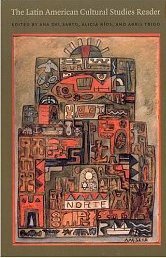 Written over the past several decades, mostly in the 1980s and 1990s, these essays provide an assessment of Latin American cultural studies today, an account of the field’s historical formation, and an outline of its significant ideological and methodological trends and theoretical controversies. With many essays appearing in English for the first time, this collection offers a comprehensive view of the specific problems, topics, and methodologies that characterize Latin American cultural studies vis-a-vis British and U.S. cultural studies.Divided into sections preceded by brief introductory essays, this volume traces the complex development of Latin American cultural studies from its roots in literary criticism and the economic, social, political, and cultural transformations wrought by neoliberal policies in 1970s.